If they are considering an air con installation, Perth residents can be confused by the terminology. Like many industries, the heating and cooling industry has a language all of its own. When you’re dealing with professionals, it can be really helpful to have a basic idea of the terminology that is used. Let’s take a closer look at some of the terms you may encounter when you’re investigating and discussing air conditioning. This will be very relevant when you replace your air conditioning system with a new model. The load calculation an essential part of the design process for your new system. It determines how large the HVAC system needs to be in order to efficiently and effectively keep your home at a comfortable temperature. This term is encountered frequently, it stands for Heating, Ventilation and Air Conditioning. When spoken, the usual pronunciation is H. V. A. C., but some people also say the phrase H-VAC. This is an extremely important part of your air conditioning system. The refrigerant is a fluid that is used to carry heat through your system. A compressor compresses the refrigerant in order to increase the pressure and temperature. The refrigerant then goes to a condenser coil, the carried heat is absorbed by the air, and the refrigerant is converted into a high pressure liquid. An expansion valve in the system allows conversion to a cooled gas; an evaporator coil allows the air blown across it to have the heat removed. As a result of the heat being removed from the home, cooling occurs, and the circulatory system repeats the process as required. This is an acronym for Seasonal Energy Efficiency Rating, and it’s a measurement of how efficiently your air conditioning equipment is operating. This stands for Minimum Efficiency Rating, and it’s a rating of the efficiency of your air filter. Now that they understand some of the terms used in air con repairs perth residents can be more informed about their system. Air conditioning experts will use some or all of these terms when discussing, installation, servicing, and repairs. If you hear any terms that you don’t understand, don’t be afraid to ask your local HVAC professionals to explain them and how they may apply to your system. You will find that many technicians are happy to answer your questions and offer their valuable advice. 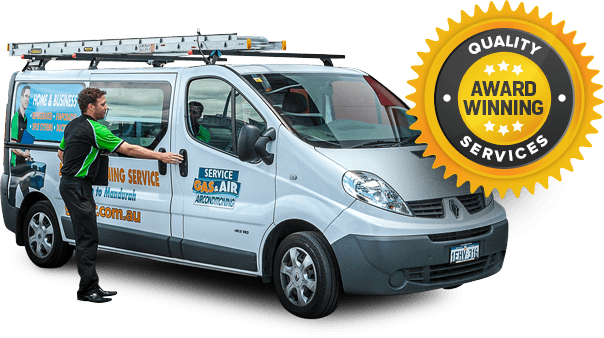 If they are looking for a high quality local air con service, Perth residents should contact us. Here at Gas & Air, we supply, fit and service a wide selection of heating and cooling equipment. Our services are available for both domestic and commercial applications. Our technicians are highly skilled and take great pride in providing a professional service at an affordable price. Our sales team is ready and standing by to answer any remaining questions you may have.